A perfect blend of garlic, rosemary, sea salt, onion and other savory herbs and flavorful spices. Evenly shake or rub on chicken or poultry, then bake, roast, grill, broil or saute until thoroughly cooked. 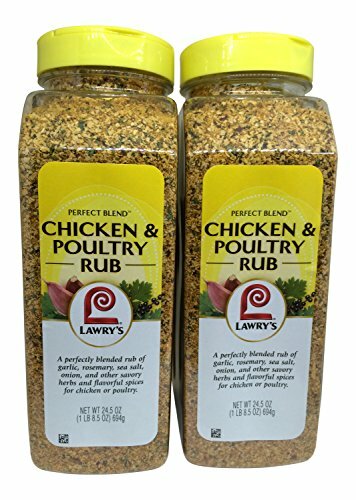 If you have any questions about this product by Lawry's Perfect Blend, contact us by completing and submitting the form below. If you are looking for a specif part number, please include it with your message.